R.M. 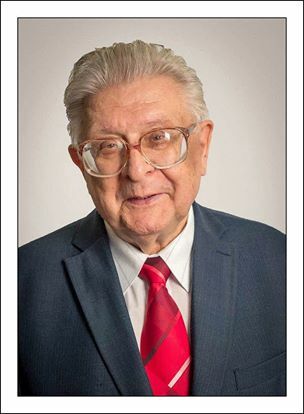 Alexakhin was Doctor of Biological Sciences (1974), Professor (1985), Academician of the Russian Academy of Agricultural Sciences (1992) and Russian Academy of Sciences (2013), participant in liquidation of consequences of the accident in the Southern Urals (1957) and Chernobyl Nuclear Power Plant (1986), laureate of the USSR State Prize (1974) State Prize of the Russian Federation (2002), Honored Scientist of Russia (1997). He was awarded the Order of Friendship of Peoples (1987), the Order of Honor (2007). He was born on 15.12.1936 in the city of Kaliningrad (now Korolev) in the Moscow region. In 1959 he graduated from the Biology and Soil Faculty of Moscow State University. He worked at the Department of Biophysics of this faculty (1959-1961), at the Laboratory of Forestry of the Academy of Sciences of the USSR (1961-1966), at the Scientific and Technical Council of the Ministry of Medium Machine Building of the USSR (1966-1975). Since 1975, he worked at the All-Russian Research Institute of Radiology and Agroecology, having passed the way from a senior research fellow to a director, and since 2015 was the scientific director of the Institute. The scientific activity of RM. Aleksakhin was connected with radioecology, he is practically the same age as this scientific discipline. In 1959, he began research at the Experimental Station of a plutonium production site Mayak on the territory of the East Urals radioactive trail, where he investigated the migration of radionuclides in forest biogeocenoses and the effects of ionizing radiation on forest ecosystems. The great period (more than 30-year) of scientific work of RM. Aleksakhin was associated with the liquidation of the consequences of the Chernobyl disaster. He is the author of numerous recommendations on agriculture in conditions of radioactive contamination. R.M. Alexakhin took part in the elimination of the consequences of the accident at the Japanese nuclear power plant Fukushima Daiichi in 2011, going to the radiological centers of Japan and the contaminated areas for consultations and assistance to Japanese specialists. In recent years, RM. Aleksakhin actively worked on justifying the concept of ecological safety of advanced technologies for closing the nuclear fuel cycle, being the chief ecologist of the project "Breakthrough" of Russian State Corporation Rosatom. R.M. Alexakhin is a laureate of the premium after V.N. Sukachev and the Gold Medal named after V.M. Klechkovsky, laureate of medals and prizes named after N.V. Timofeeff-Ressovsky, V.R. Williams, N.I. Vavilov, P.V. Ramzaeva, laureate of the departmental order of the State Corporation "Rosatom" "E.P. Slavsky ". He was awarded the medal after V.I. Vernadsky of the International Union of Radioecology. R.M. Alexakhin is the author of more than 900 scientific publications, including 22 monographs. He was a member of the editorial boards of 11 scientific journals, a member of the Scientific and Technical Council of Presidium and the Public Council of the State Corporation “Rosatom”, the deputy chairman of the Russian Scientific Commission on Radiological Protection, a member of the Bureau of the Scientific Council of the Russian Academy of Sciences on Radiobiology. RM Aleksakhin was Academician of the National Academy of Agrarian Sciences of Ukraine. He worked in the leading International Organizations (IAEA, ICRP, and UNSCEAR). Since 2001 - he was a member of the Executive Committee and vice-president of the International Union of Radioecology, a member of the British Society of Radiologists. DISCLAIMER: This post was shared on the facebook page https://www.facebook.com/victoria.korogodina which is taken out with her permission. If there is any mistake or need to correction or any other points the reader want to add please comment in the box below.